You may remember from the last video update I did on "The Quest" (April Video Quest For Single Figures) there was some good news to end with and the handicap had taken a small cut from 14.4 (dangerously close to going over to a 15 handicap) back to 14.1 (and breathing space). Good times. Since then there have only been two qualifying competitions I've played in and to be brutally frank with you dear reader neither were very good. This has led to a major change (more of which later) and the outcome of which contributed to the performance in the second of these qualifiers (are you still with me?). The first of these qualifiers was the monthly stableford. This was a dire affair and I accumulated a paltry 29 points. That could have been a lot worse after struggling to a meagre 12 points going out before finding a modicum of form on the way back with 17 points despite an annoying double bogey and no points at the thirteenth. All I got from my day was a 0.1 increase and a feeling of frustration when looking at the chalk and cheese front and back nines. This brings me to the monthly medal (The English Golf Qualifier) and it was approached with more than a normal level of trepidation. There was good cause for this as I explained at the beginning of my recent video (Royal Ascot Vlog) on the accompanying Three Off The Tee Youtube channel to this blog (My Youtube Channel). If you haven't already, please go over to it, subscribe, thumbs up the video(s) and make any comments you may have. Coming off the back of a lesson (again more of which later) and a solitary bucket of balls at the range, I needed the nine holes on the vlog to try and make the change feeling natural before the medal where there would be no hiding place. 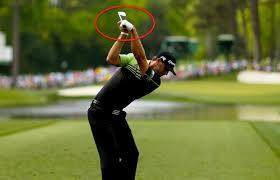 Alas as the footage reveals the change was there in practice but went missing in action in the actual swing. More work and more frustration. And so dear reader, my first tee nerves I felt as I pegged the ball up (and of course I'd be drawn first to play in the three ball and had to lead off) were perhaps rightly justified. I got the first shot away, and almost hit the green on the 229 yard opener. I didn't. For those of you that follow these ramblings regularly there is an ongoing issue with chipping. On this occasion I wanted to hit a seven iron chip and run, landing on the front foot or so of the green and running up to the flag at the back. I executed well. Too well and it rocketed off the face and over the back. Despite a valiant first effort to two feet it was a double bogey to start and a pattern set early of unforced errors. On the plus side, I was working really hard on the mental side, and really focusing on the practice swing to feel the move I'd worked on and then picturing the shot from behind the ball and picking my target (and yes all done quickly so pace of play wasn't affected!!). It seemed to be working and while I couldn't see the swing in action, at least I was hitting fairways regularly and in fact set a personal best on the front nine of hitting 6/6. However this alone wasn't enough to guarantee a good score and solitary 1/6 greens in regulation perhaps offers a more telling reason why I went out in 45 (+10) or three over my handicap for the front nine. A par, par start on the back nine (including a sand save on the par three eleventh) had me right back in it and the swing seemed to be holding up under a degree of pressure. I hit an iffy drive at the twelfth which led to a momentum stopping double and lost another shot to handicap at the thirteenth (186 yard par three - stroke index 17). Still only three over handicap and in good shape to threaten the buffer zone. So where does this leave "The Quest"? A very good question and I'm glad you asked. It brings me to my first bit of news and the first major change. I have decided to change teaching professionals and have gone back to Rhys ap Iolo at Downshire Golf Centre. If you trawl through the blog archives you'll know I use to have lessons with him and he actually got my handicap down from 14-10 over a two year period and I'm hoping he can repeat the feat. I'd like to start by thanking Andy Piper for all his help and patience to date. I'm still using him for a little while longer, essentially to work on the short game as I've already paid for some lessons and want to use these up. I have been happy with the work we've done, blighted as it was this winter and last by some serious health issues on my behalf, and really feel there have been some positive and long lasting changes, especially in terms of set up and address. However, I also felt that as the handicap had stagnated and not improved (and again the underlying and on going health problems haven't helped) and it was time to freshen it up. I trust Rhys and only went to Andy Piper for the same reason, a fresh view (and off the back of good word of mouth feedback). One of the issues I've had since starting my golf as a ten year old kid is a cupped wrist. Over the years this has led to a number of issues and since working with Andy Piper is something I wanted to work on. Unfortunately with what I presented to him, it was necessary (at least in his opinion) to sort other stuff first but we'd just started to work towards it. My point is, Rhys thinks it's actually a root cause of a lot of my swing woes, especially in terms of getting too steep, over the top and cramped for space and would be happier with the odd address and posture issue to get this wrist situation sorted first. In our second lesson, we've really worked on getting a flat (a la Sergio Garcia), nay bowed left wrist (a la Dustin Johnson). We had the launch monitor on and I was struggling to get a seven iron out around 130 yards and the the ball was initially going both left and right. As we began work on going from a cupped position to a straight/bowed one, the results were instant. Distance went out towards 145-150 yards and dispersion improved. It is designed to get me into a tighter position at the top (and will in time reduce an over swing I have) and more importantly allows me to sequence and execute the downswing better without starting with a huge move outside and over the top. I am working on a feeling of getting to the top and then letting the arms simply drop (and fall naturally from an inside position) as I simply rotate the body. Sounds so easy doesn't it? This is really a work in progress and while the DJ position isn't textbook and perhaps unique to him it (and Sergio's) are the benchmark I am trying to achieve. As said, sadly it hasn't fed into the real swing yet and as the medal showed, the swing is still capable of malfunctioning. I have a very long way to go, and while I don't envisage Rhys and I trying to re-invent my swing totally this is something big and hard to change after 35 years of playing but which will form a bedrock of what we want to do going forward. Having had a solitary practice session post medal round, the change is having an affect. It's still alien, especially with a driver or longer irons but the more I get more Dustin like the better the quality of strike I seem to have. There is still issues, especially in path and presenting the face to the ball and so huge hooks are evident, and I still try to default of some swings to my old cupped position usually hitting a weak shot right. And there you have it. The May update for the "Quest For Single Figures" done and dusted and while the playing side of things would seem to be a case of the same old, same old, the other changes have left me very excited going forward. I have a pitching lesson with Andy Piper booked for the 26th (as part of the outstanding, pre-paid lessons) and so that will start to fix the short game woes that still blight the game. As always, there seems a lot going on. The cynical amongst you will no doubt argue I'm changing too much in my swing again. Maybe, but as always I have a rock steady belief of a single figure golfer waiting to be unearthed inside me and this is my way of doing this. Certainly the over the top move and cupped wrists were doing my game no favours, certainly in terms of consistency and so this big change of wrist position is the first part of the latest chapter. If Rhys can get me to 10 once he can do it again. I'm really engaged with my game again and as you'll see from the May video while there's a lot of work still to do, the early signs are good and the strike is far better. I'm taking the right side of the course out of play more often (although not totally) and while the bad ones are now massively left, contact is better. Dispersion is tighter (no really!) 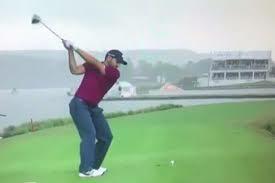 and the ball flight is much higher (and so lands softer). I am getting there. It's taking a damn sight longer than I ever envisaged but I'm getting there. As we're into the heart of the golfing season I hope you are all playing well and if you're on a similar journey to my own, or your own golfing odyssey, please comment and let me know how you are getting on. Whatever you're doing golf wise I hope you are playing well and enjoying it. I@ll see you soon for another blog. How about a WITB video?